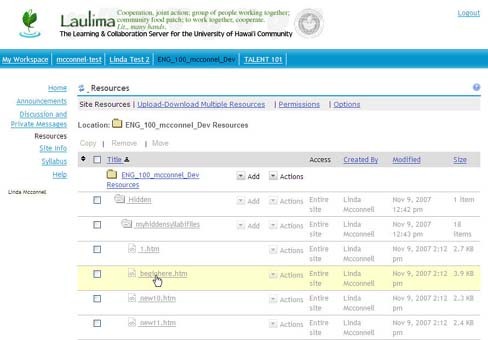 Create a Syllabus via Word, save as a web page, upload to Resources and link to the Syllabus Tool. 1. 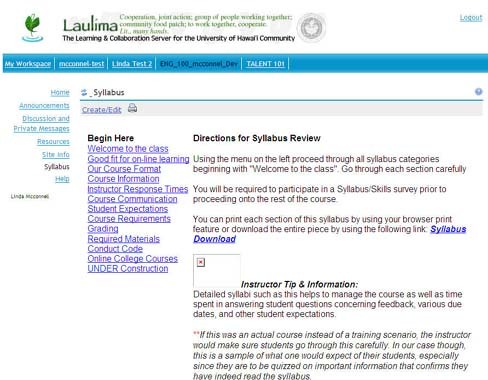 Create a syllabus web page. 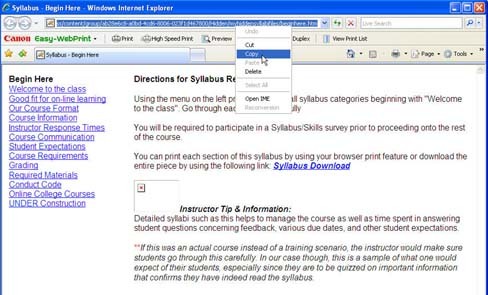 Using your original syllabus document file OR create your syllabus in Microsoft Word. Use the Save as Web Page feature to create your Syllabus web page(s) by going to File in the main menu of Microsoft Word, choose "Save as web page" then select to "Save"). 4. 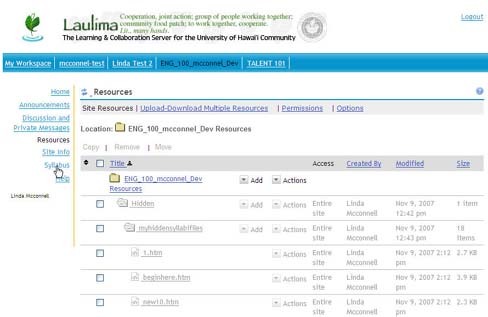 Add the Syllabus tool to the course or project site by logging into Laulima (https://laulima.hawaii.edu), select the appropriate course/project site title, click on the link the course menu for "Site Info"
2. Using the menu bar select the text link for "Edit Tools"
8. Using the course menu chose the link for "Syllabus"
8. 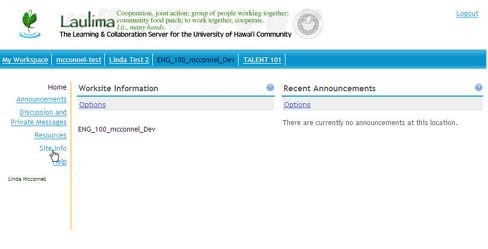 Using the menu bar select the link for "Create/Edit"
8. Using the menu bar chose the link for "Redirect"